We will be visiting our hometown of Kolkata in India during the month of August. I haven’t been to Kolkata for five long years. I can’t wait to catch up with friends and family, eat savory street side snack food and be overwhelmed all over again by the sights and sounds of the city. Though it is essentially a holiday, I will be taking some work with me. But, I expect that in between socializing and working, I will have a little time to myself to catch up on my reading. It is such a delicious task to select books to read on a holiday. I find the Kindle so handy for such circumstances. I can pack a huge library within a sleek gadget and I don’t even have to feel ashamed about hoarding so many books! Even though I may not end up reading a single line, it is comforting to know that the books are close to me and can be reached easily if I need them. 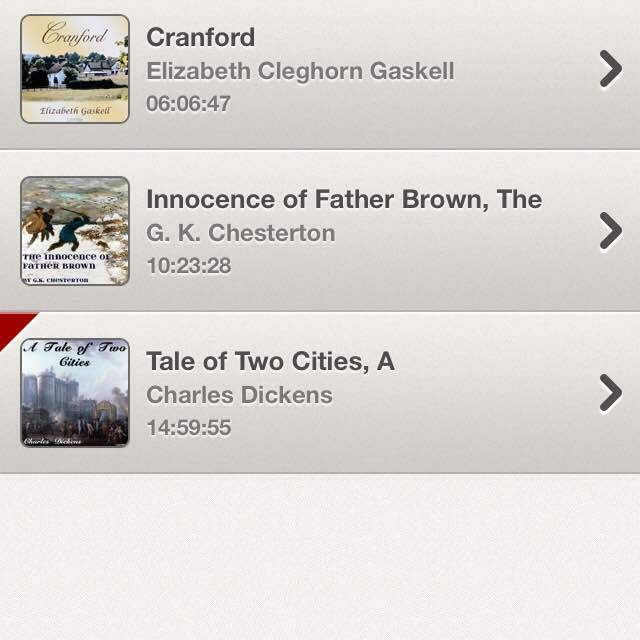 Although I do enjoy using my Kindle, I also really like reading from the Kindle app on my iPod. It is a little narrow and you do have to flip the page every few seconds but It is very convenient for reading in bed. I can lie down and read on my back (my favorite reading position) and my arms don’t hurt. 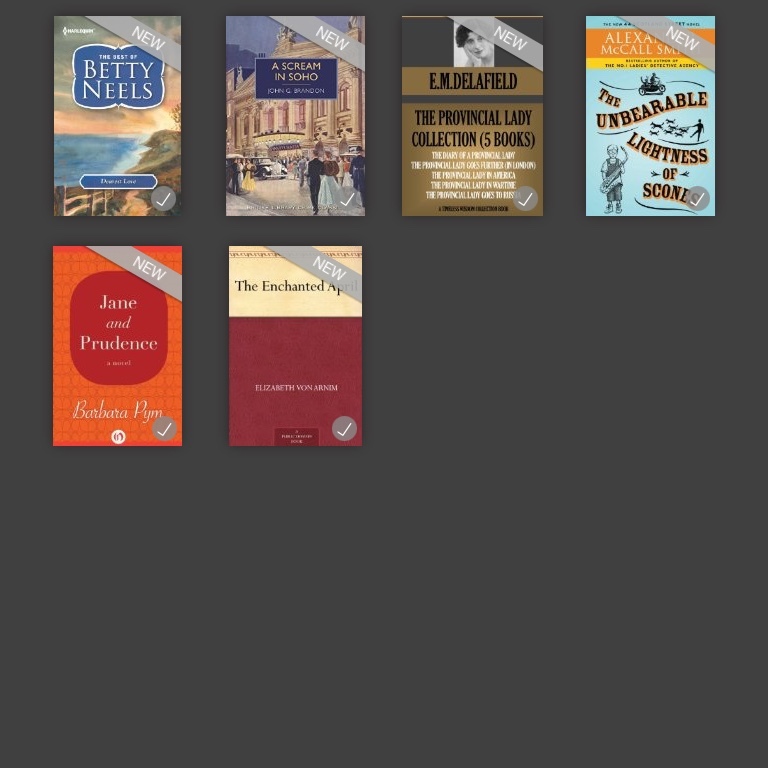 Since I don’t expect to have Wi-Fi in Kolkata (I will have internet access in the form of a data port inserted into my laptop) I’ve downloaded my books in advance. I thought it might be fun to share a look at the books I will be reading on the trip. They represent the ultimate in my concept of comfort reading. The author’s writings just take me to a calm and relaxing place. They are often witty, light and often convey a strong sense of place. The Unbearable Lightness of Scones by Alexander McCall Smith is the fifth installment in the 44 Scotland Street Series set in Edinburgh, Scotland. The series was originally published in serial format in a Scottish newspaper and still runs to this day. Apart from providing delicious glimpses into Edinburgh city life, the stories are quirky, and have a variegated cast of characters. They make me smile and each short chapter is the perfect small morsel to fit into 10 minutes of reading time. I am finishing off The Enchanted April by Elizabeth von Arnim and enjoying it immensely. It is the perfect summer read. It takes place in Italy. Four, lonely women decide to rent a medieval castle together for the month of April to escape their everyday lives in London. The writing is humorous and the characters well drawn. Barbara Pym is a favorite author of mine and I have not yet read Jane and Prudence. Pym is often compared to being a latter day Jane Austen. I find her writing wry and intelligent. I cannot wait to dive into it. I also enjoy reading books in the epistolary format especially those set during war times. The Guernsey Literary and Potato Peel Society and These Wonderful Rumours by May Smith particularly spring to mind as books from this genre. When I read These Wonderful Rumors last year, many parallels were drawn between it’s context and that of the ultimate wartime diary- E. M. Delafield’s The Provincial Lady Diaries. A trip is a wonderful opportunity to read books in this short chapter format. Betty Neels is the ultimate escapist read. Please don’t read her books if you have a very rational mind. Nothing makes sense in her stories. The Dutch doctor always rescues the English nurse and marries her and whisks her away to the Netherlands into a loveless marriage that blooms later on. To me though, the books are very charming and provide tiny glimpses of a side of Europe that I am unfamiliar with. Lastly, a book from my favorite genre- mysteries. I have heard many good things about A Scream in Soho. It is a part of the newly re-released British Library of Crime Classics series. The cover looks lovely with a vintage feel. Need I say more? That, in a nutshell, is a glimpse into my summer holiday reading. Any bets that I won’t even finish a single book? Never mind. I won’t be heartbroken if that happens because I know that the time will have been filled with other enjoyable pursuits. Hope you are having a wonderful summer (or perhaps winter) wherever you are. I’m off to venture forth into a summer adventure.